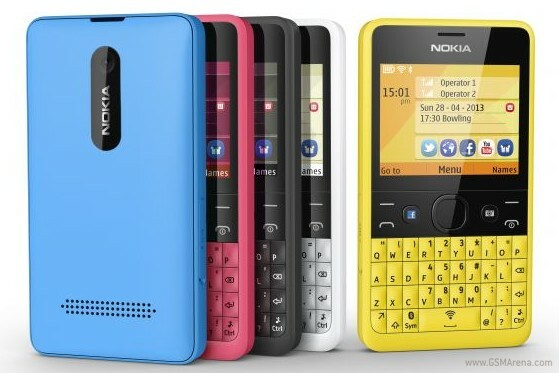 Today Nokia unveiled the latest addition to its Asha lineup. The QWERTY-packing Nokia Asha 210 featurephone comes in both single SIM and dual-SIM flavors and brings entry level functionality at an extremely attractive price point. Combining a 2.4" LCD screen of QVGA resolution (320 x 240 pixels) with a four-row full QWERTY keyboard, the Nokia Asha 210 is targeted at younger users that do lots of texting and have a limited budget. Nokia Asha 210 is the first handset to feature a dedicated WhatsApp button, which gives you quick access to the instant messing app that comes preinstalled. The Asha 210 comes with Wi-Fi connectivity and a dedicated Wi-Fi on/off hardware toggle. Sadly the feature phone lacks any fast cellular network support like 3G or LTE, settling for dual-band GPRS/EDGE. Local connectivity is covered by microUSB and Bluetooth. The Nokia Asha 210 offers a 2 megapixel camera at the back, but there's no front-facing snapper. The handset has a 3.5mm audio jack and while its internal memory is limited to just 64MB, there's a microSD card slot for expanding it by up to 32GB. The dual-SIM version will also come with support for Easy Swap, meaning you can exchange the secondary SIM without powering off the handset. 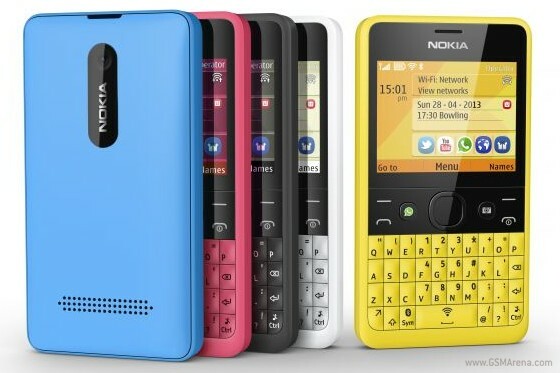 The Nokia Asha 210 is going to be available in yellow, cyan, black, magenta, and white when it goes on sale (sometime in this quarter). The estimated retail price for the Nokia Asha 210 is around $72. is there qwerty phone sale in Philippines?